What I’ve Been Eyeing for Fall. Plaid is Definitely on the List! Don’t you just love LA weather? Last weekend it was pouring with rain, accompanied by thunder and lightning, and this week, the temperature is 80˚ and I actually went to the beach. Although it still feels like Summer, I have been collecting quite a few pieces for Fall. This Loavies set being one of them! There’s something I love about mixing items that are both feminine and masculine. 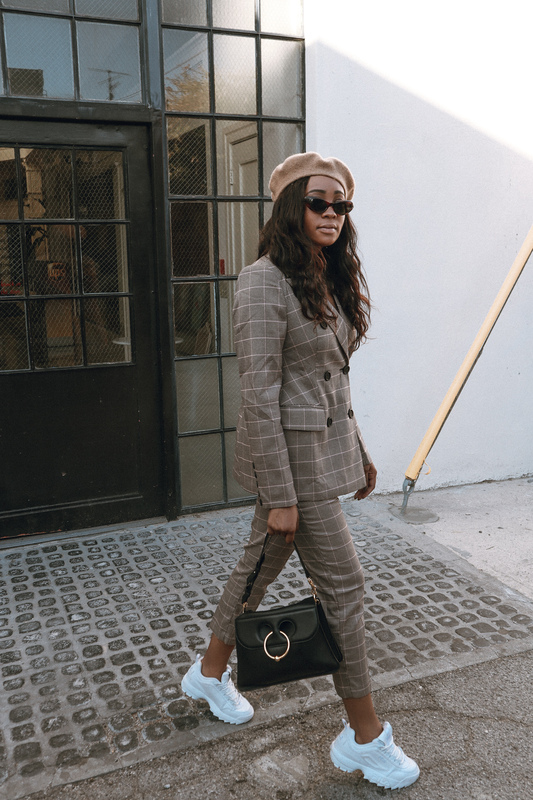 I paired this plaid suit set with a J.W Anderson bag, Fila sneakers, and a wool beret. 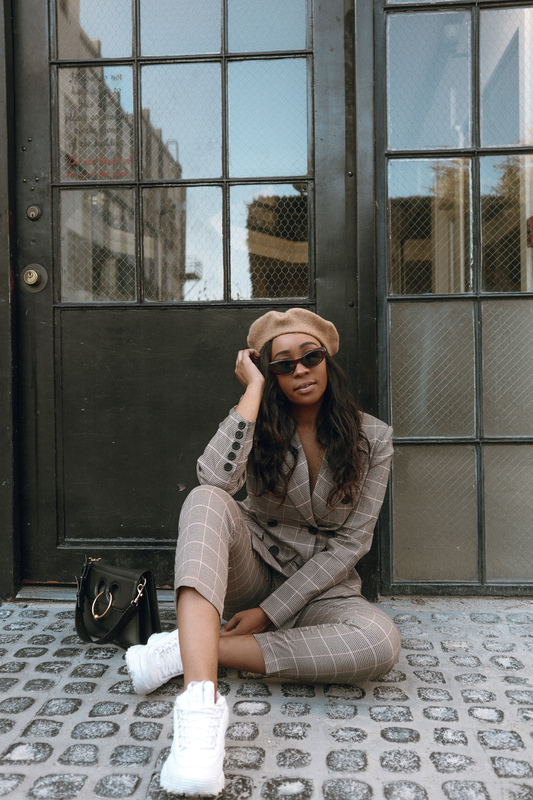 Keep on scrolling for more Fall pieces I have been eyeing! As I mentioned, I have been stocking up on a few Fall goodies! I’m listing my favorites below! Chunky Knits – because who doesn’t love feeling cozy during Fall. 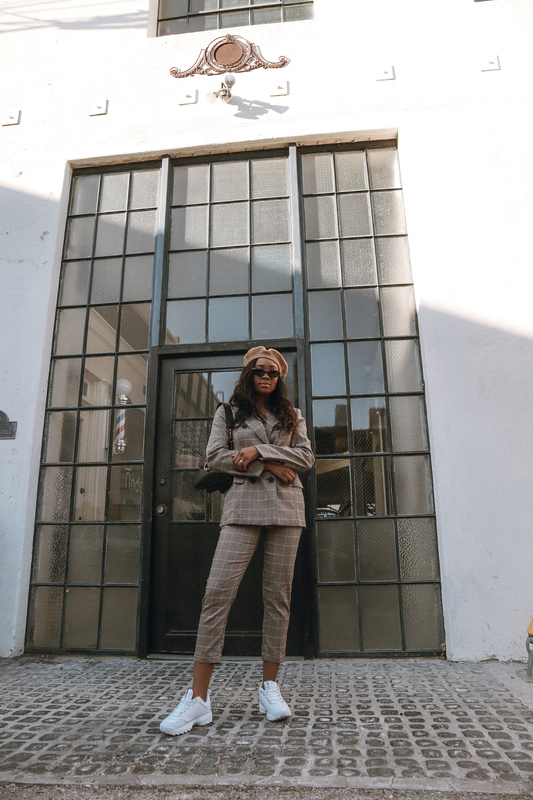 Anything with Checks – perfect for a masculine/feminine look. 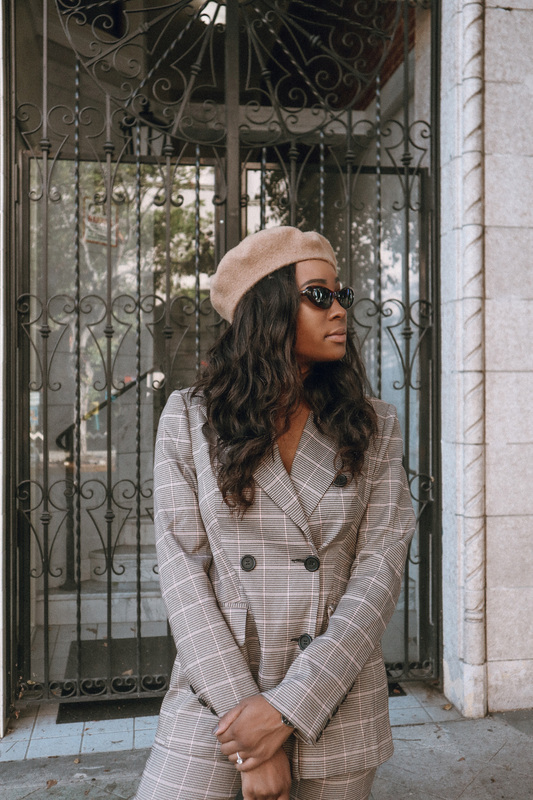 Plush Coats – Shopbop has the best! 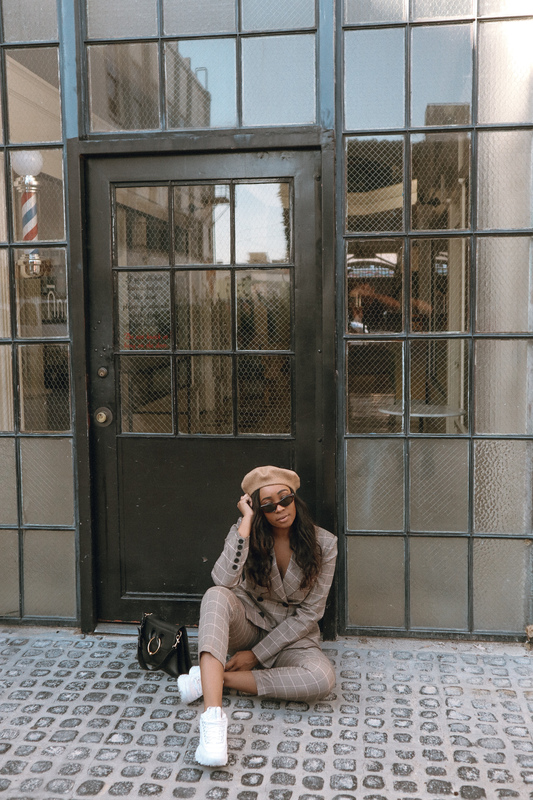 Western Boots – you guys know I am all about this trend! Closet Staples – because you can never have enough of these. What a sharp suit! And it looks killer on you. I have been looking for suit but can not find one I like. I am a hard size as I am xs but tall so often things don’t fit quite right. But this is tempting me try buying it online as you look so good! Thank you so much! I have that problem, and I am a size S/M. I still find that cropped pants look far too cropped on me! I like the classy vibes of this suit. Looks amazing on you!! You paired it perfectly with the sunglasses and the bag. Keep it up girl!! together so effortlessly. Another wining look from you Tandya. I love plaid and you did an amazing job styling this set. Also the colors are so perfect for the season and the match your skin tone so beautifully. I need to look into getting one set like this, it looks so stylish! Ohwow, plaid looks so great on you. 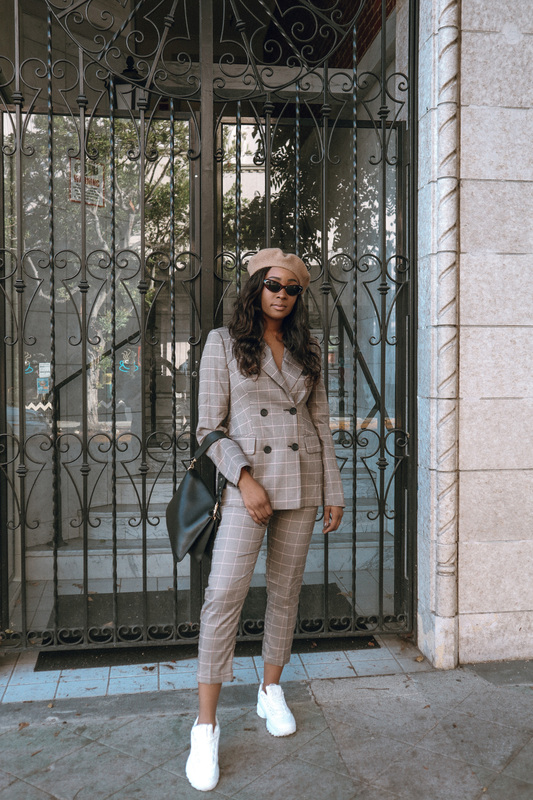 I’m definitely excited to get such suit for myself. So stylish! What a stylish suit for autumn. I’m def excited to buy one for myself. Also, plaid looks so adorable on you. Girl we are twinning! I love that your plaid comes in a set. I think it looks so chic and I love it with the white sneakers. I couldn’t find any pants to go with my blazer but I’m seeing so many plaid co-ords these days that I might have to stock up!! Its been raining for two weeks in Vancouver and probably wont stop for another few months. I love plaid trend! I’ve seen this look on your IG feed and love it. I have the same sneakers and I also wore them the other day with a suit. You look stunning! Yes! Sneaker twins! I love them! Plaids are super popular! I love this pattern because it really enhances any outfit! I absolutely loved the way you style your combo, you look so chic and the beanie adds the perfect touch. Not to mention how cool your shoes are! Love it head to toe! I love a good plaid blazer, there’s just something so elegant and timeless about them. You look fabulous as usual!